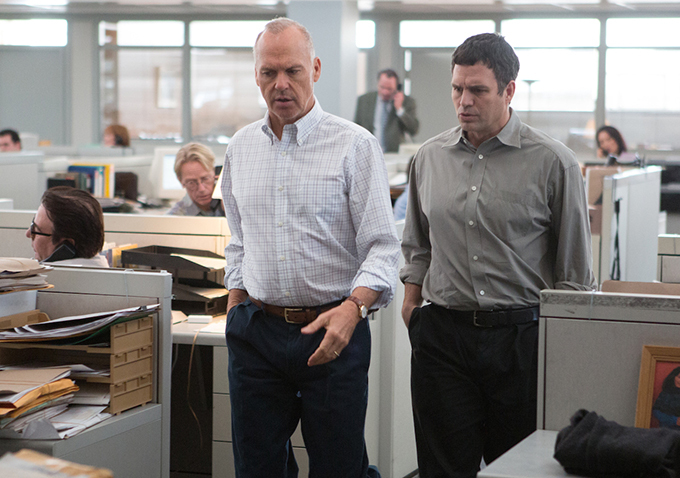 “Spotlight” was voted Best Picture of 2015 by the Los Angeles Film Film Critics Association today, after winning the same prize from the Boston Society of Film Critics earlier in the day. If you were following the vote live, it was a modest surprise, since up to that point, “Mad Max: Fury Road” seemed the clear favorite, with three awards — Best Director, Best Cinematography and Best Production Design — to “Spotlight’s” Best Screenplay. But while “Spotlight’s” tech values, and even its individual performances, may not have dazzled LAFCA’s members, the whole was more than the sum of its parts. Like critics in Boston, Los Angeles’ judged Charlotte Rampling best actress in “45 Years,” with best supporting actress going to Alicia Vikander for “Ex Machina.” (Awards campaigners take note: LAFCA soundly rejected the idea of awarding Vikander for “The Danish Girl,” emphatically seeing that as a lead performance.) Best Actor went to Michael Fassbender for “Steve Jobs,” with supporting going to “99 Homes'” Michael Shannon — both first-time winners in this awards season. “Anomalisa” triumphed over “Inside Out” for Best Animated Film, also winning Best Original Score for composer Carter Burwell, an award shared for his work on “Carol.” (Technically, that should make the award “Best Composer,” but let’s not quibble.) Foreign-language film went to “Son of Saul,” whose lead Géza Röhrig finished second in Best Actor voting, and documentary went to “Amy,” over second-place finisher “The Look of Silence” — also paralleling Boston’s results. The biggest surprise was “The Big Short’s” Hank Corwin for Best Editing, who joined career honoree Anne V. Coates in the Editing Hall of Fame. As previously announced, the annual awards banquet will be dedicated to the late Chantel Akerman.